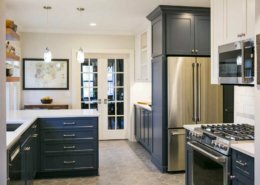 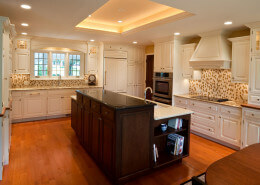 This Madison suburban home design had a small, dark kitchen backed into a corner by an awkward peninsula. 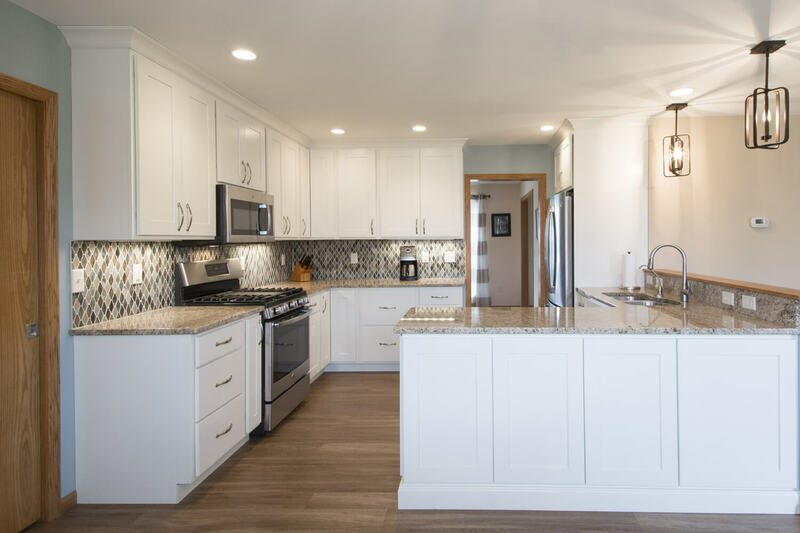 Vive Home Transformations redesigned the kitchen to maximize functionality, relocating the refrigerator and sink, and expanding and squaring up the peninsula. 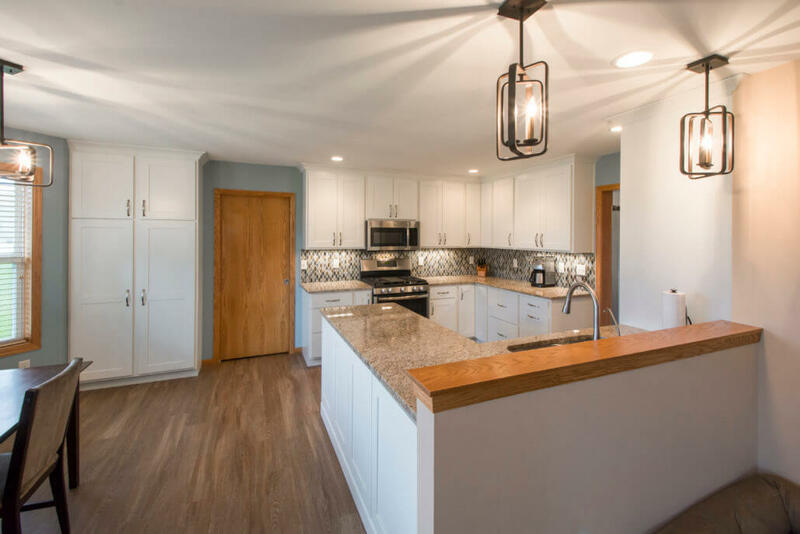 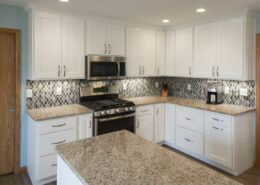 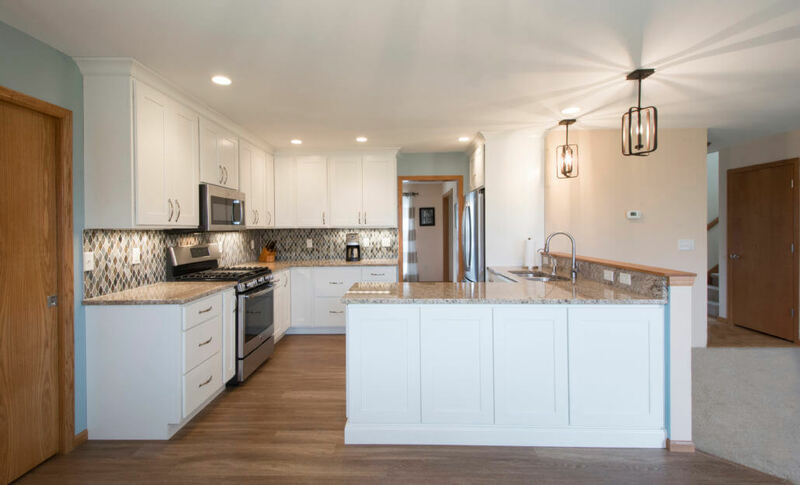 Vive also assisted the homeowners in coordinating their trend-setting finish selections of white cabinetry, candle-shaped pendant lighting, glass mosaic tile, gold-toned granite, and rain and alabaster paint. 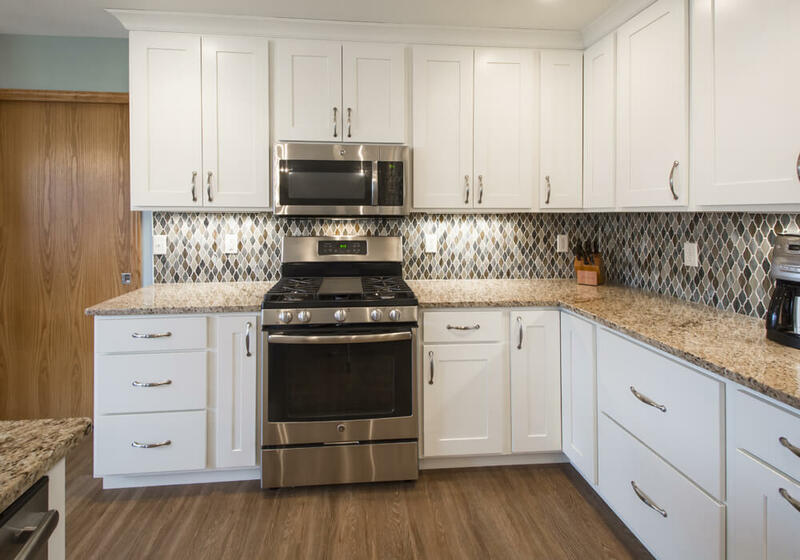 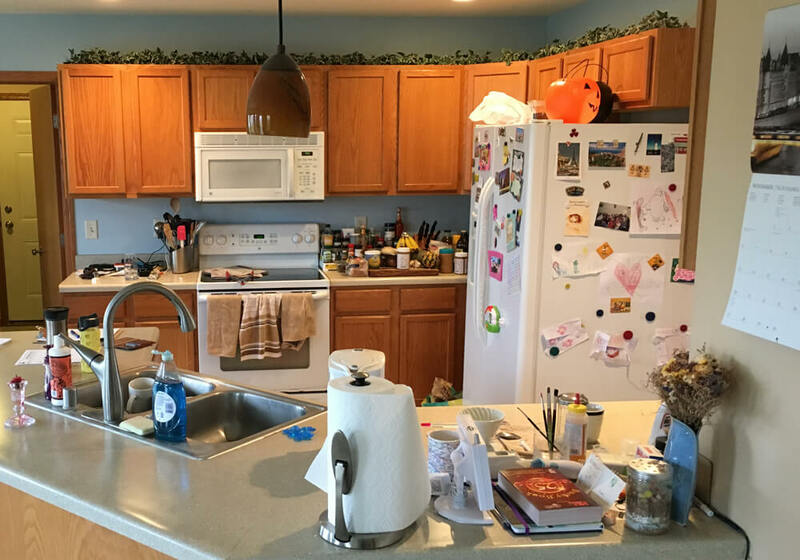 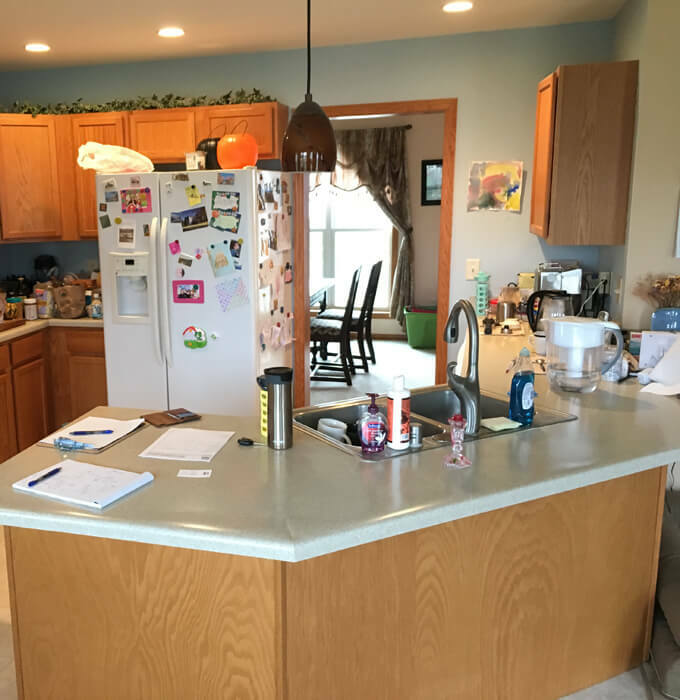 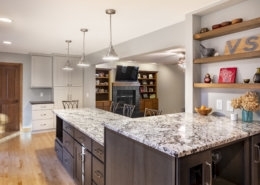 Additional upgrades in the brighter, modernized space include an under mounted faucet, separate drinking water faucet, and countertop depth refrigerator.